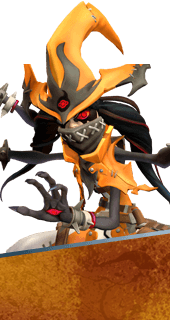 Prognostication is an Augment for the Hero Orendi in Battleborn. Using Nullify now reduces the cooldown of Shadowfire Pillar even more. -12s Cooldown Time. You cannot have both this augment and Prognosticombo. It's either one or the other.